Manage your subscribers easily with SMS integration of MsgClub in Jaze ISP manager software. Engage a large group of potential subscribers via sending SMS directly on their mobile phones. Send promotional messages, new launches plans details from Jaze Networks software. Fully user-friendly API, your developer can easily deploy it into your systems for SMS marketing. Saves your lot of time & effort ! It gives you a unified experience to ISP providers. Send Information to all your prospects from Jaze Networks bulk sms api Integration. Why purchase bulk sms for Jaze ISP software from Msgclub? 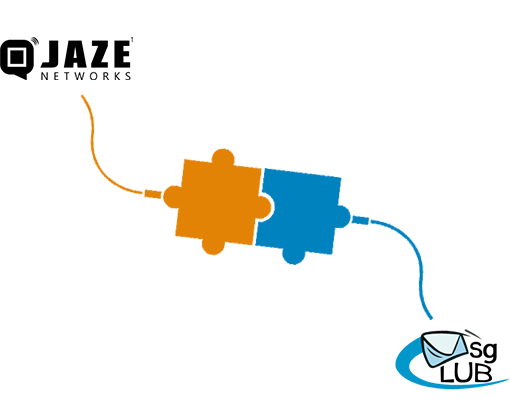 We are the leading provider of bulk SMS services in India and having 11+ years of experience in the SMS industry. So, choose us once you will love to work with us! read more..
How to Integrate SMS API in Jaze ISP Manager? Well, you can integrate our bulk SMS API into your software with the help of our developer team or your Jaze ISP manager expert. Our APIs are easily available on our interface.read more..
Login our bulk SMS panel where you will see developer tool section. Here you can generate a new authentication key for your services for Jaze ISP manager software. read more.. If you want to check remaining balance of your account go to MsgClub interface and check it or use our bulk SMS for balance check from developer tool to check message sent via Jaze ISP.read more..
Is send SMS from Jaze ISP manager via API is secure? Every client information is important for your business and according to that, we have made our software so secured that keeps information sent via bulk SMS API of Jaze software highly safe. read more..
What's the bulk SMS Jaze ISP manager software price? Keep in mind our bulk SMS services are of very high-quality and we do not charge the extra cost to integrate our programming APIs into your system. For SMS plans contact our team!read more..
From the year 2009 MsgClub has been working as a global leader in business communication solutions. Our reputation is built only because of technical expertise, SMS industry experience, quality support to clients and service reliability. From bulk messaging to SMS integrations with any software, if you need it you have come to the right place. Nowadays, our team of experts is more focusing towards SMS integration with different software so that our every client should able to send SMS messages directly from the software they're using. You can send single SMS, group SMS or personalize SMS to a large group of people sitting across the country in the minutes of a time. As you do not have to pay any cost to integrate our services into your accounting software, inventory management software, jewelry business software, customer relationship management software and more. Being an internet service provider if you're using Jaze ISP Manager to manage end-to-end operations of your business than you're also in need of a communication tool that helps you to reach out customers, subscribers directly from your system. And SMS is one of the most widely used tools for businesses because it is a cost-effective and reliable form of communication between you and other people. that has to be easily integrated into the software without any hassle. Our APIs are available on our bulk SMS interface that has to be easily downloaded as a sample code in programming languages (PHP, Csharp, Asp.net, Java, VB6.0, Microsoft ASPI and a lot more). network software to start bulk SMS marketing for your business at affordable price. We provide you SMS plans for your organization at a very reasonable rate, you need not have to spend a large chunk of money while using our services. of MsgClub. So, what're you looking for? with bulk SMS services & solutions. They will guide you its proper steps! Visit our page http://www.msgclub.net/integrations/bulk-sms-integrations.aspx to know more about different SMS integrations.